Born in Damascus, educated in Beirut and London, Dr. Hillel Yaacob Farḥi (1868-1940) was a well-known Cairo physician who treated the poor free of charge. He was also a considerable scholar, grammarian and poet who wrote and translated many books - both religious and secular. Besides his siddur, he published maḥzorim in Arabic for the high holidays of Rosh Hashanah and Yom Kippur, as well a number of editions of the Passover Haggadah with his own running commentary. Rabbi Sam Feinsmith teaches Judaic Studies and coordinates Jewish Life at Chicagoland Jewish High School, IL. 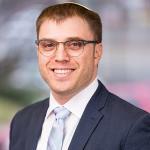 Since his recent arrival to Evanston, he has been a regular teacher at the Center for Jewish Mindfulness, where he weaves in the depths of Chassidic and Kabbalistic wisdom. He holds degrees from Yeshivat Chovevei Torah Rabbinical School and Jewish Theological Seminary. Passionate about prayer and contemplative Jewish practice, he has consulted for a number of innovative prayer and minyan-related projects, and has conducted Jewish meditation workshops and retreats for teens and adults. As a tikkun olam ambassador, he served as a Kol Tzedek Fellow and volunteered in Asia and Central America for American Jewish World Service. Shir Yaakov is an aba, singer, composer, designer, producer and teacher. Whether as Romemu's Musical Director, an officiant at weddings and lifecycle events, or as one-half of the world-hop duo Darshan; in synagogues, yeshivas, and intentional communities around the world; and in Jewish, multi-faith, and non-affiliated spiritual contexts, Shir Yaakov weaves a tapestry of Kabbalistic wisdom, contemporary songwriting, and deep personal spirituality. He has recorded and released four albums of original music. As a spiritual leader, he has led services and ritual in a wide variety of contexts, from Hasidic yeshivas to multifaith, LGBTQ, and earth-based spiritual groups. Rabbi Edward Feld has published widely on Jewish theology, prayer, the Hebrew Bible, and on halakhic and ethical issues. He is the author of Joy, Despair and Hope: Reading Psalms (Cascade Books) and The Spirit of Renewal: Faith After the Holocaust (Jewish Lights). He is the senior editor of the new Mahzor Lev Shalem, published by the Conservative Movement’s Rabbinical Assembly, for which he was listed as one of the Forward 50 – the 50 outstanding American Jews of 2010. Currently, Rabbi Feld is at work on a companion Siddur Lev Shalem for Shabbat and Festivals. In his distinguished career, Rabbi Feld has served as Rabbi-in-Residence at the Jewish Theological Seminary of America functioning as an advisor and mentor to rabbinical students, Rabbi of the Society for the Advancement of Judaism, and Hillel Director of Princeton University. He is a noted teacher, lecturing throughout North America. 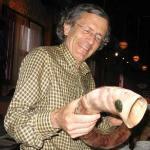 He is married to Merle Feld, a poet and playwright and Director of the Rabbinic Writing Institute. 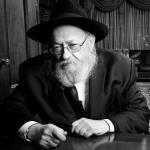 Rabbi Moshe Feller is among the senior shluchim (emissaries) of the Lubavitcher Rebbe, zt"l. He has been reaching out to fellow Jews in his native Minnesota since the early 1960s. Dr. David Fiensy is a graduate of Duke University where he wrote his dissertation on the Seven Benedictions as known in the Syrian Diaspora. He taught New Testament for the last 22 years at Kentucky Christian University and is now retired. Tsvi Hirsch Filipowski (1816-13 July 1872), Hebraist and actuary, sometimes referred to as Herschell Phillips Filipowski. A maskil born in Virbalis, Lithuania, he arrived in London in 1839 and taught Jewish boys. In 1846 he published Mo’ed Mo’adim, a study of Jewish and other calendars, and in 1847 The Annual Hebrew Magazine (Hebrew title Ha-Asif, The Harvest’). His A Table of Anti Logarithms appeared in 1849, and his translation from Latin into English of Napier’s treatise on logarithms in 1857. In 1851, when he was listed in the Census as a London printer, he founded the Chevrat Me’orerei Yeshenim (Hebrew Antiquarian Society) in order to publish medieval Hebrew texts. Major works that he edited and printed for it included Menahem ibn Saruq’s Mahberet Menahem (1854) and Abraham Zacuto’s Sefer Yuhasin ha-Shalem (1857). During the late 1850s he worked in Edinburgh as an actuary, returning to London in about 1860. He compiled the Colonial Life Assurance Company’s 1861 Almanac and edited Baily’s Doctrine of Life Annuities and Assurance (1864-6). In 1862 he published, using a Hebrew type of his own design, Tefilot Yisrael, a pocket edition of the Ashkenazi prayer book with his own English translation. In 1867 he founded a short-lived periodical, The Hebrew National. His Biblical Prophecies (1870) dealt mainly with messianic passages in Isaiah. Refoyl Finkl (a/k/a Raphael Finkel) is an activist for the preservation of the Yiddish language, promoting its use and providing fonts, various texts, and tools for writing Yiddish in personal computers. At the University of Kentucky, Dr. Finkel teaches computer science. He earned his PhD in computer science at Stanford University under the supervision of Vinton Cerf. Louis Finkelstein (June 14, 1895 in Cincinnati, Ohio – 29 November 1991) was a Talmud scholar, an expert in Jewish law, and a leader of the Jewish Theological Seminary of America (JTS) and Conservative Judaism. His major scholarly pursuits were works on the Pharisees (the second temple era sect from which rabbinic Judaism developed) and on the Sifra, the oldest rabbinic commentary on the book of Leviticus. Finkelstein authored a number of books, including Tradition in the Making, Beliefs and Practices of Judaism, Pre-Maccabean Documents in the Passover Haggadah, Introduction to the Treatises Abot and Abot of Rabbi Nathan (1950, in Hebrew with English summary), Abot of Rabbi Nathan, (a three volume series on The Pharisees), and Akiba: Scholar, Saint and Martyr. He also edited a four volume series entitled The Jews: Their History, Culture and Religion in 1949. Avraham ben Shmuel Firkovich (1786–1874) was born in Lutsk, Volhynia, then lived in Lithuania, and finally settled in Çufut Qale, Crimea. A famous Karaite writer, archeologist, and collector of ancient manuscripts, Firkovich's chief work was his Abne Zikkaron, containing the texts of inscriptions discovered by him (Wilna, 1872) which is preceded by a lengthy account of his travels to Daghestan. Michael Fraade is the JOFEE Director at the Louisville JCC, where he manages the J’s garden, runs educational programs, and coordinates the Gendler Grapevine Fresh Stop Market at the J, a sliding scale local produce market, with local nonprofit New Roots. His work has included creating community partnerships with other Louisville organizations, including within the Jewish and interfaith community, to organize around JOFEE and food justice. Rabbi Amitai Fraiman (אמתי פריימן) is American-Israeli former IDF Tank Commander. R' Fraiman co-founded “Jerusalem Midnight Biking”, an innovative bike touring company based in Jerusalem. 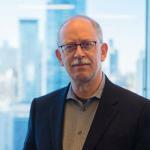 R' Fraiman has professional and leadership experience in content development, advocacy, and relationship building in his work for Garin Tzabar and NYU Bronfman Center, The Arthur Project and most recently for LAVAN. Rabbi Shoshana Meira Friedman is the Associate Rabbi at Temple Sinai in Brookline, Massachusetts. She feels blessed to serve this vibrant community through building personal relationships, teaching Torah, innovating new engagement initiatives, working for justice, and leading prayer. Rabbi Shoshana is a leader in the interfaith climate justice movement in New England. She and her husband Yotam Schachter co-wrote The Tide Is Rising, an anthem for the climate movement that has been sung in congregations, climate rallies, and gatherings in the US, Brazil, Denmark, and France. In other pursuits, she has released an album of original music called Guesthouse, clowned for hospitalized children, tended a community garden, and written poetry. Her publications include pieces in the Huffington Post and the Harvard Divinity Bulletin, and she has written an interpretive translation of the weekday prayer service called Siddur V'lo Nevosh: Jewish Prayer as Shame Resilience Practice. Rabbi Shoshana was ordained at Hebrew College Rabbinical School, and is a graduate of the Wexner Graduate Fellowship, JOIN For Justice, and Oberlin College of Arts & Sciences where she was also a Henry David Thoreau Scholar. She grew up in Newton, Massachusetts, and lives in Jamaica Plain with Yotam and their dog Lulu. For sermons, publications, music, and activism visit www.rabbishoshana.com. Rabbi Seth H. Frisch, from Philadelphia, Pennsylvania, is senior rabbi of the Historic Congregation Kesher Israel. Rabbi Baruch Frydman-Kohl is the Anne and Max Tanenbaum Senior Rabbi of Beth Tzedec Congregation, the largest synagogue community in Canada. The focus of his rabbinate has been a commitment to family education, life-long learning and care for the housebound, hospitalized and homeless. Rav Baruch initiated the development of a "synaplex" of innovative ritual and educational opportunities to encourage more participation in synagogue life. Beyond the synagogue, Rav Baruch is the past president of the Toronto Board of Rabbis (2012 to 2015) and vice-chair of the Canadian Rabbinic Caucus. As president, he helped to organize the 2011 Path of Abraham mission to bring Jews, Christians and Muslims to the Holy Land to explore the challenges of three religions, two nations and one land. He was featured in the documentaries “The Secret of San Nicandro” for CBC and “Amazing Communities” for Israel television. Rav Baruch offered a prayer to open a session of the United States Senate. Rav Baruch serves on the Board of UJA Federation of Toronto and is a member of the Rabbinic Cabinet of Jewish Federations of North America. He is a member of the Committee on Jewish Law and Standards of the Rabbinical Assembly, has served on its international Executive Committee, chaired its international convention and is a past president of two of its regions. In 2016, his service to the community was recognized by UJA Federation with the Gordy Wolfe Award for Jewish Communal Professional Leadership. 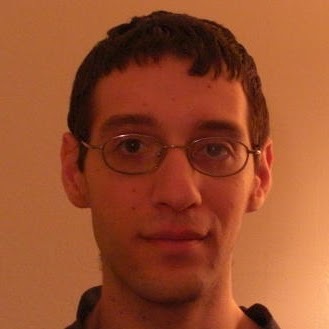 Rav Baruch was awarded a Coolidge Fellowship to pursue research in an inter-faith community at the Episcopal Divinity School at Harvard University, received a doctorate in Jewish Philosophy from the Jewish Theological Seminary and is a Rabbinic Fellow of the Shalom Hartman Institute of Jerusalem. 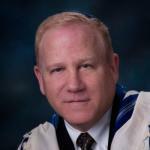 Rabbi Frydman-Kohl is the author of scholarly articles in the area of Jewish philosophy and mysticism.